The 2006–07 A-League was the 30th season of top-flight soccer in Australia, and the second season of the A-League since its establishment the previous season. Football Federation Australia hoped to build on the success of the first season and on the interest generated by the Socceroos competing in the 2006 FIFA World Cup. Fox Sports had signed a A$120 million deal over 7 years for the exclusive broadcast rights of the A-League, AFC Champions League, and national team matches (excluding matches played in the World Cup finals). The television advertisement campaign used for the 2006–07 season was the same as the previous season, with different music. Scribe's song "Not Many" was replaced with Manuel Neztic's "Kickin Down". The second season was marketed as "A-League: Version 2". This competition was held in July and August in the lead up to the start of the A-League season. The opening round was 15 July 2006. The competition featured a group stage, with three regular rounds and a bonus round, followed by a two-week finals playoff. The bonus group round matched up teams against opponents from the other group, and also offered the incentive of "bonus points" based on goals scored (1 point for 2 goals, 2 points for 3 goals, 3 points for 4 or more goals). The Pre-Season Cup was used to enhance the A-League's profiles by playing pre-season games in regional centres including the Gold Coast, Sunshine Coast, Toowoomba, Launceston, Canberra, Wollongong, Port Macquarie, Orange and Tamworth. The pre-season cup was won by Adelaide United at the final on 19 August 2006. The league season took a triple round-robin format, and took place over 21 rounds between 25 August 2006 and 21 January 2007. ^ First place qualifies for the 2008 AFC Champions League Group stage. Winning the 2007 A-League Grand Final earns qualification for the 2008 AFC Champions League Group stage, unless the Grand Final winners are also first place, in which case the Grand Final runner up qualifies. ^ First place through to fourth place qualify for the 2007 A-League Finals Series. ^ New Zealand Knights cannot qualify for the AFC Champions League as they are not recognised as an AFC club. Melbourne Victory celebrating their 2007 A-League Grand Final victory. 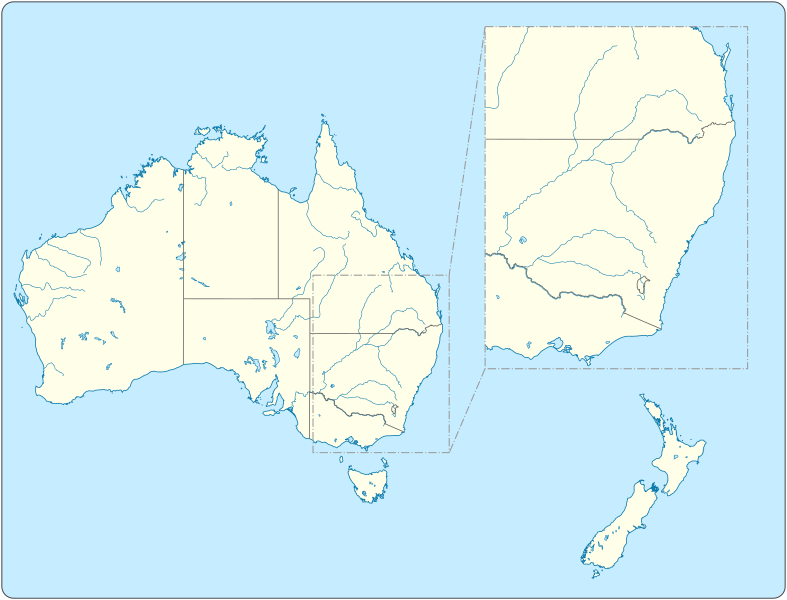 The Asian Football Confederation announced on 21 November 2006 that Adelaide United and Sydney FC would represent Australia in the 2007 AFC Champions League. Despite an appeal by the Football Federation Australia, it was determined that the 2005–06 A-League premiers and champions would qualify and not those from the current season. The AFC also indicated that the qualification arrangements would not be reviewed prior to 2009. The FFA have indicated that the premiers and champions of A-League 2006–07 will qualify for the 2008 AFC Champions League – establishing a precedent of maintaining a one-year lag between qualification and participation. The 2007 A-League Awards ceremony was held on 27 February 2007 at the Sydney Opera House. ^ "Historic deal for football". 26 April 2006. Archived from the original on 25 August 2006. ^ "Version 2.0 launched". 25 August 2006. Archived from the original on 7 July 2012. ^ "A-League Pre-Season Schedule Confirmed". 1 June 2006. Archived from the original on 30 August 2006. ^ "AFC confirm Sydney and Adelaide". 21 November 2006. Archived from the original on 18 May 2011. ^ Nick Carle takes out Johnny Warren Medal Archived 17 June 2011 at the Wayback Machine, A-League, 27 February 2007. This page was last edited on 24 March 2019, at 17:48 (UTC).